Joe (Joachim) Probst was a Toronto based Canadian folk singer who recorded a sole album for the collectable Daffodil Records label in 1971. Not released until 1973, The Lion And The Lady features 10 self-penned story songs that are very much in the same style as those of Bruce Cockburn, Murray McLauchlan or even Harry Chapin. Starting with a narration of a short story , “The Lion In The Zoo Is An Aristocrat”, by Brian Purdy, this concept album is based around a central theme with stories of loneliness, desolation and love. Midway through the album another narration about the Lion sets the tone for the second half of the album. A very interesting musical work, The Lion And The Lady does have some musical highlights and features some great songs. 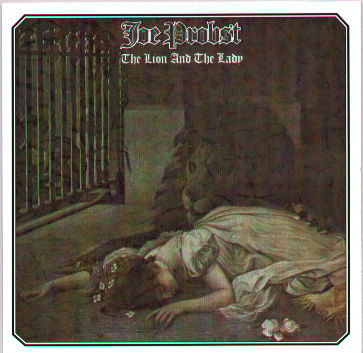 Probst did have a minor Canadian hit in 1973 with the song, “Kingston”, about life behind bars in the Kingston Penitentiary but essentially, the album went unnoticed and quickly disappeared. Unfortunately not much has been heard from Probst since. This release by Unidisc Records, is a straight reissue of the original Daffodil Records album re-released for the first time in 30 years at a budget price complete with original artwork.